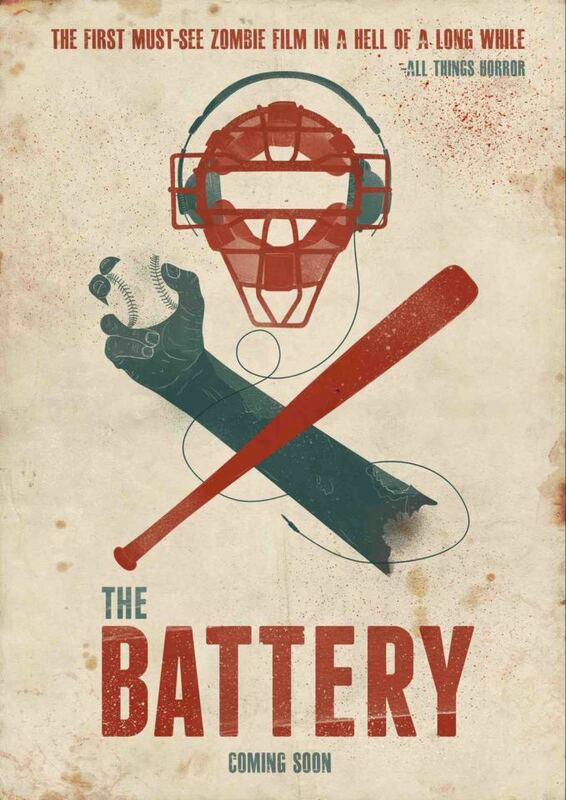 THE BATTERY: The Zombie Film Goes Mumblecore – Schlockmania! Once a horror subgenre hits the peak of popularity in its cycle, a phase of experimentation sets in where the subgenre is crossbred with other genres or filmmaking approaches by filmmakers looking for a fresh angle on familiar archetypes. The zombie subgenre is currently in one of those phases, with a lot of films crossbreeding the zombie movie with comedy. The makers of The Battery have bypassed comedy to devise their own clever crossbreed of zombie movie and mumblecore drama. The result has been a hit in horror website and festival circles but its appeal will depend on how you feel about its blend of storytelling styles. 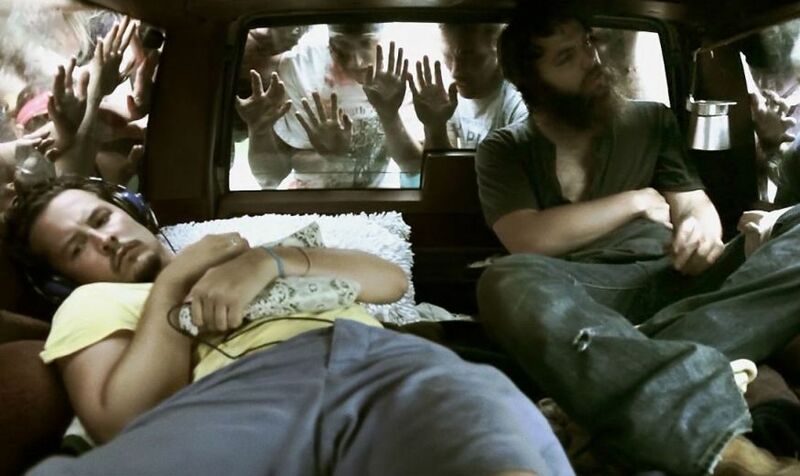 The Battery takes place in the aftermath of a zombie apocalypse but the filmmakers keep the storytelling at a micro level by focusing on the travails of Ben (writer/director Jeremy Gardner) and Mickey (producer Adam Cronheim). These two were baseball players prior to the zombie epidemic but barely knew each other and have been forced into a sort of Odd Couple-style situation. 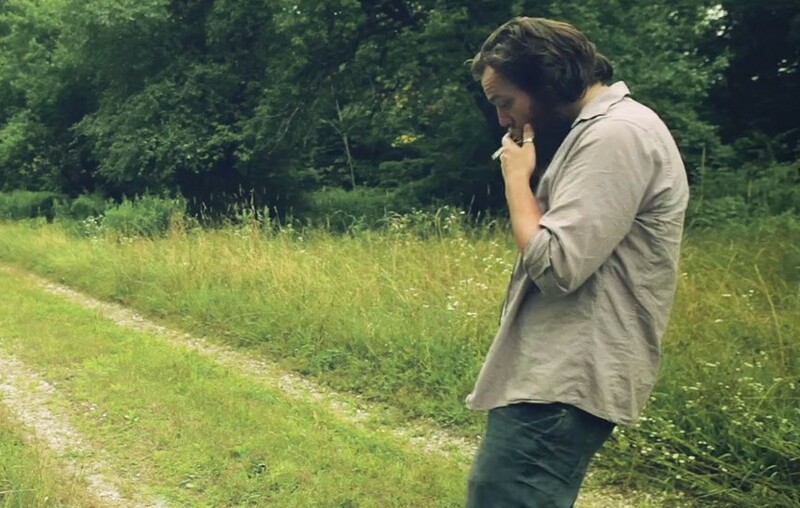 Ben has comfortably worked into the groove of post-apocalypse life, leading the duo on an existence where they roam the backwoods and kills any zombies that cross their path. Mickey longs for a more permanent home and can’t bring himself to kill a zombie, spending much of his time morosely listening to headphones. Their aimless existence finds a direction when Mickey overhears a group of survivors on a walkie-talkie and fixates on meeting, particularly a female member named Annie (Alana O’Brien). Though she makes it clear they won’t be welcome, Mickey fixates on finding her and thus leads the duo to a dangerous and potentially lethal crossroads in their post-zombie existence. It’s not hard to see why The Battery has attracted a healthy fanbase: Gardner’s direction shows a likeable willingness to take chances. It gives the moribund zombie subgenre a shot in the arm by throwing out a lot of the familiar survival-horror tropes and focusing on the relationships of its characters. It bypasses the usual visual and aural stylistic cues of zombie horror, replacing them with a dreamy, natural-lighting visual style and a soundtrack of carefully-curated indie rock with a folksy, acoustic bent. 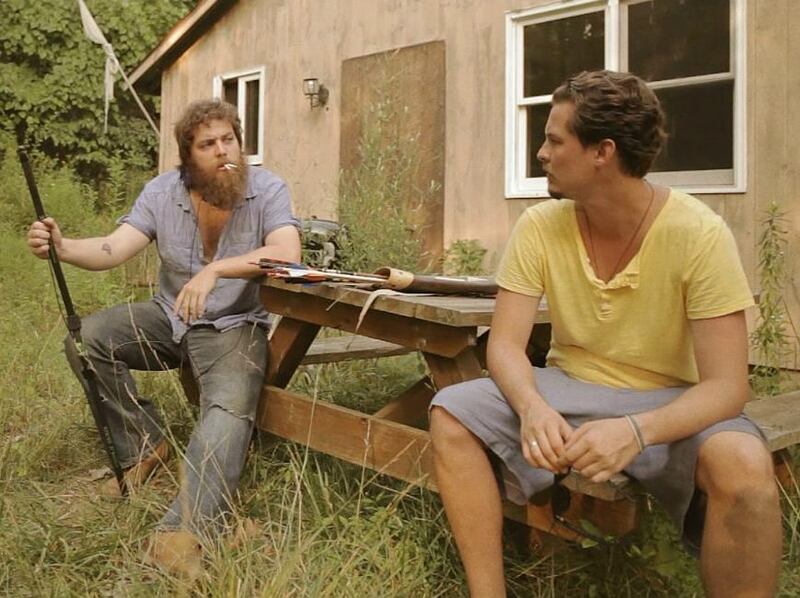 It’s worth noting that performances are all above average for a micro-budget indie. However, this gutsiness is so appealing to some viewers that it blinds them to some noticeable problems that The Battery has. To being with, the script is rather undeveloped: sometimes it has a plot and sometimes it’s content to just drift in an arthouse style. Gardner stacks the film with plenty of memorable incidents but these moments often fall into the category of “cool scenes that the director wanted to do” rather than moments that add up to a textured narrative. 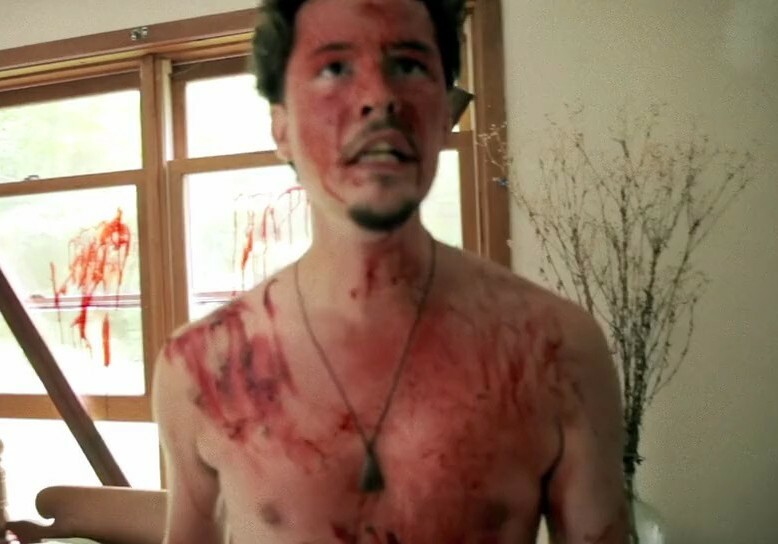 For example, a scene where a sexually frustrated Mickey masturbates while seeing a zombie outside the car only to be interrupted by a laughing Ben is surprising – but when the film cuts away to another scene, the viewer is left wondering how the two dealt with the aftermath of that moment. A bigger storytelling problem for The Battery is that the characters are presented with issues to confront – Ben’s reflexive cruel streak, Mickey’s refusal to deal with the current situation on its own terms – that are never really dealt with in a meaningful way. Even a moment where the two have a fist fight is glossed over in a few minutes. Since neither one experiences much of a character arc, it’s easy to become annoyed with their difficult personalities: Ben is frequently a creep, given to mean-spirited pranks, and Mickey is such a stubborn, emo whiner that it’ s amazing he’s managed to survive the zombie invasion. A dramatic third act that is built around these two never achieves the emotional weight the filmmakers are reaching for because it’s so hard to relate to these two. Simply put, there’s a fine line between being edgy and being annoying. The difference between the two lies in having a motivation for and a point to one’s edgy artistic moves – and The Battery is all too often content to do the unexpected just to be different. Therefore, its appeal will vary depending on your patience for micro-budget indie experimentation – but there is definitely talent at work here and those interested in a crossover between mumblecore and horror might find it worthwhile.